Come see "The Cat in the Hat"! 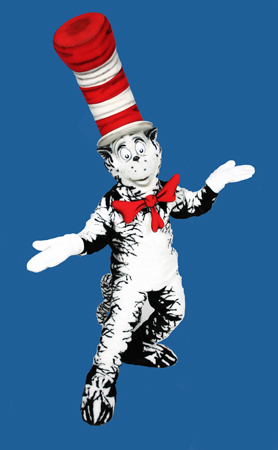 The Cat in the Hat is coming to visit us, now’s your chance to meet him and get photos with him! There will be a childrens event on Saturday, March 2nd at 11am. Children can come and participate in activities, reading and photo opportunity with Cat in the Hat! Steph Ross will lead the activities!